Besides restoring victims to wholeness from a purely economic point of view, personal injury suits that arise when death occurred due to third-party negligence should be pursued vigorously to ensure bereaved loved ones receive true justice to the fullest possible extent. When people die prematurely, family members suffer multiple losses that extend far beyond direct costs like medical bills and final burial expenses. Just a few major examples are loss of the primary breadwinner’s income, outstanding debt such as a large mortgage balance, permanently lost companionship and long-term emotional pain. Moreover, depending on case-specific factual circumstances, plaintiffs may be entitled to punitive damages for grossly egregious neglect or willful misconduct by guilty party(ies) with legal responsibility. Even defendant(s) who didn’t act with deliberate bad faith but failed to exercise reasonable care or take prompt measures that could have prevented a fatal mishap are still liable for all resulting harm inflicted on innocent victims. Which is also precisely why it’s vital that victimized parties take prompt steps to hold all villains legally accountable for inadvertent carelessness or purposeful vindictive malicious actions. Anyone who’s ever lost someone they loved dearly to untimely sudden death can easily comprehend the devastating aftermath of far-reaching consequences that literally last an entire lifetime for those left behind. For that very reason, our Tampa, Florida Law Firm has an entire team of dedicated attorneys with extensive practice experience in wrongful death litigation who work diligently for and exclusively in the client’s best interests. Each one of these well trained legal professionals are very familiar with various tactics that large insurance carriers typically employ to pressure severely distressed pro se claimants into accepting out of court lowball settlements. 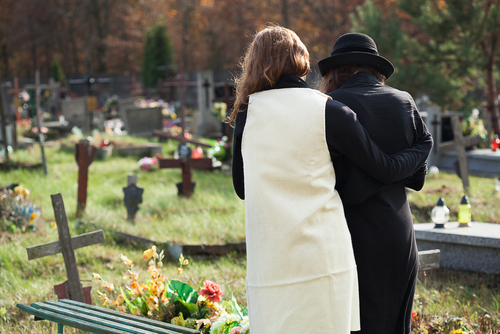 Our wrongful death lawyers are skilled negotiators who know how to present each client’s case in most favorable light possible as a way of ensuring full and fair monetary damage claims settlements. However, in the relatively unlikely event that informal negotiations fail, we never hesitate to launch full-scale litigation of all disputed matters. A common misconception is that personal injury attorneys retain excessive sums from the gross amount of any negotiated financial settlement or court awarded judgement in the client’s favor. Consequently, many people try to take on big insurance companies and large corporations alone. This misguided approach virtually always proves a dismal failure because applicable statutory and regulatory provisions as well as controlling judicial precedents are very complex. Not to mention being subject to highly subjective interpretation and application and frequent amendment. Very few laypeople who are experiencing severe financial hardship and extreme grief have sufficient mental stamina to handle extra huge burdens of dealing with indifferent defendants whose self-interests are directly opposed to those of damaged victims. Even if bereaved family members were themselves experienced wrongful death lawyers, it would still be quite unwise to attempt self-representation, as an objective perspective is essential to present all relevant facts and circumstances in a rational manner that’s most likely to achieve desired results. This is where our Tampa, FL wrongful death trial lawyers provide yet another major fringe benefit with moral support for clients throughout the entire damage claims recovery process. Witnessing family members’ suffering amid times of extreme crises merely inspires even stronger motivation to advocate zealously during every stage of preliminary negotiation and if necessary, subsequent litigation. A critical task at immediate hand before taking the first step forward that might lead toward litigation is to maximize success with full victory by securing qualified, zealous legal representation. While the mere thought of having to face harsh present realities that evoke painful memories from very recent past events might likely provoke strong hesitation that’s quite natural, it’s essential to avoid letting procrastination continue too long. Prompt action is vital because applicable laws impose strict deadlines, after which times various legal avenues to pursue the most well-deserved vindication will close permanently for those victimized by a wrongful death. Unfortunately, the law doesn’t recognize emotions as valid defenses for neglected due diligence by failure to take prompt remedial steps. Excessive delay by even a single day often may as well be several decades in the eyes of the law. Thus, anyone who’s suffered a dear loved one’s sudden loss due to death caused by someone else’s negligence must take proactive corrective measures well before the day arrives when it will become too late forever. An ideal planning strategy that offers a risk-free route is available upon requesting initial consultation for a thorough case evaluation by one of our well trained attorneys with lengthy experience in Tampa, Florida personal injury wrongful death litigation. As this valuable service is provided with no cost or obligation whatsoever, no valid excuse can possibly exist for continued delay of even another nanosecond in pursuing rightful and legally entitled financial compensation. Contact our office this instant to schedule a free consultation that can get you well on the way toward wherever your family should be forever.